Blue Ridge Mountain Food Tours | 3 Hour Guided Culinary & Tasting Tours of Blue Ridge, Georgia – Yum! --- 3 Hour Guided Walking Tours Through Blue Ridge, Georgia --- a tasting adventure, discovering unique restaurants, food shops & eateries while sampling delicious foods & beverages along the way! The Vine Wine Bar & Bistro featuring Chocolatasm! If you love eating, exploring & having fun, our culinary tours offer you the flavorful experience you crave! Our 3 hour guided walking tours will take you on a tasting adventure, discovering unique restaurants, food shops and eateries while sampling delicious foods and beverages along the way. 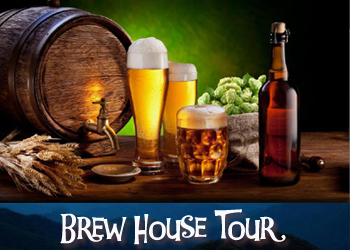 Each tour will make 5-6 stops to various eateries offering a wide variety of food and beverage tastings from artful appetizers, decadent desserts, to local craft beer and wine. Get an insiders view from a local tour guide who will provide you with fun-facts and tidbits of history about the quaint mountain town of Blue Ridge, Georgia. Meet fellow foodies, local merchants and knowledgeable store owners for an afternoon of fun, laughs and great stories. Go behind the scenes and mingle with culinary chefs and restaurant owners, many of whom have pioneered the revitalization of downtown Blue Ridge. All tours are conducted in downtown Blue Ridge within a one mile radius. All food and beverage tastings, restaurant gratuity and a fun-filled experience are included. 12 people maximum per tour. Tours will be added upon demand. Private tours are available. Tours are conducted rain or shine. Wear comfortable shoes and weather appropriate clothing. Starting locations are selected according to tour type and will be provided in your email confirmation. Participating restaurants are subject to change and may not be available for every tour. Tours conducted on select days from 2-5 pm so check our calendar for availability. Copyright © 2019 Blue Ridge Mountain Food Tours. All Rights Reserved.